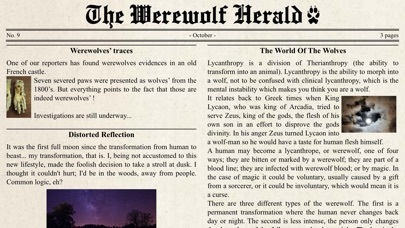 Share Werewolf Locator with your friends ! 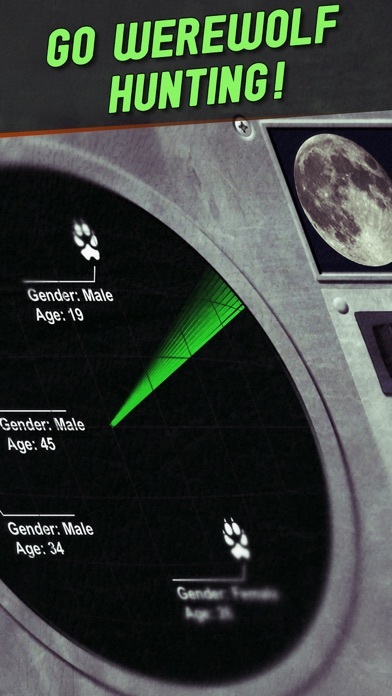 What is new in Werewolf Locator? 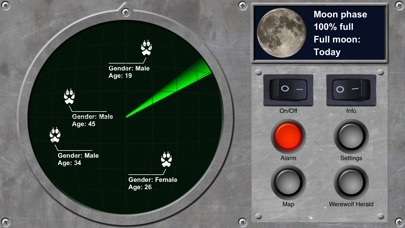 The werewolf locator model WL112 is the automated version of a detection method dating back to the Middle Ages. This technique, based on processes which remained secret for a long time, enables the werewolves precise, remote and riskless localization. 700,000 downloads around the world ! 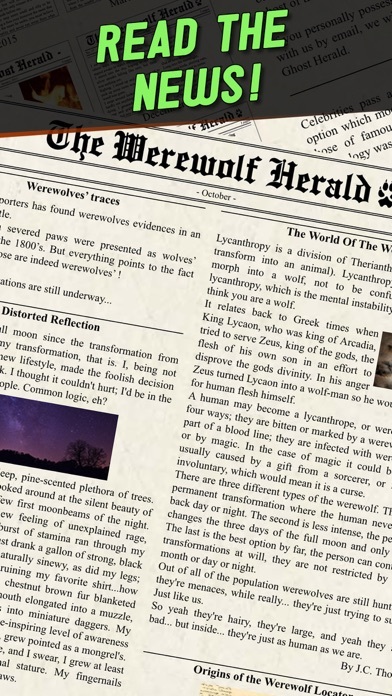 You will, in a matter of minutes, easily obtain a lot of useful information on the surrounding werewolves. In addition, it automatically computes moon phases, and allows you to fearlessly get out at night, even on cloudy dark nights. This app is for entertainment purpose only, its accuracy won't prevent injuries.